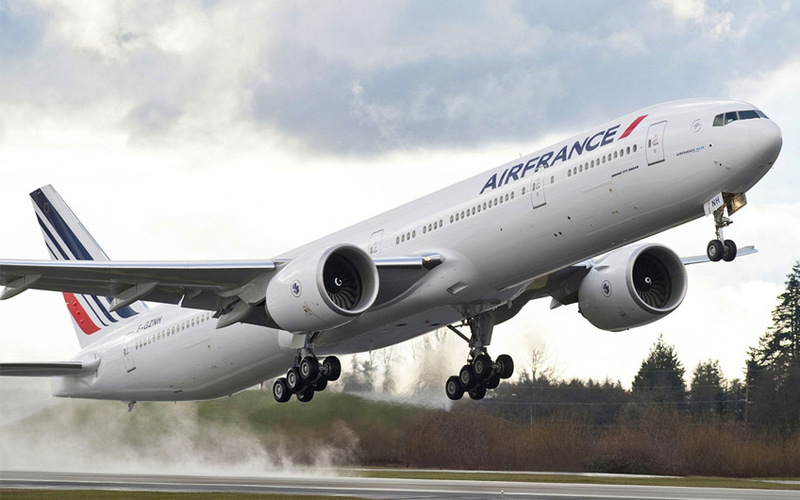 This Wednesday the airline Air France will start its operations between Paris and the Juan Santamaria International Airport, the main of the airports in Costa Rica. The route will allow Air France customers enjoy the appreciated "savoir faire" of the airline, that special grace with which Air France does things, especially when it comes to service and attention to all details. Air France's ambition is to make a difference through service quality. Comfort, personalized service and inflight entertainment are the priorities of the company in all classes; that’s why the airline offers differentiated services and details in each of their classes. It is important to mention that Air France renews its offer of onboard entertainment monthly. In all kinds of flight, customers can enjoy a long list of movies on their individual screens. The catalog inflight entertainment offers between 600 and 1000 hours of programming: about 200 films, more than 200 television programs between series and documentaries, 17 music channels, some 3,000 music titles and 25 games, including some Berlitz language courses. Something that customers will thank during their trip to Costa Rica. According to the website of the company, a round trip between San Jose and Paris out this Wednesday and returning a week later would cost about $798. Air France already offers flights to 27 different destinations in America such as Buenos Aires, Brasilia, Bogota, La Habana, Cancun, and Montevideo. The airline operates since 1933, first in Europe and later expanded to other destinations worldwide. Since 2004 the company is part of KLM Royal Dutch Airlines, air transport giant with roots in the old continent. To date, Air France offers 320 destinations in 114 countries together with the other subscribed to the group brands: Royal Dutch Airlines, Transavia and Hop! The conglomerate has a fleet of 534 aircraft in operation and 89.8 million passengers last year, Air France-KLM offers up to 2,200 daily flights. The first trip came in the afternoon this Wednesday and was received by President of the Republic, Luis Guillermo Solis. The goal is to open a direct channel for European tourists travelling to Costa Rica to allow an increase in visitation, according to the Costa Rica Tourism Board. Almost 400 thousand Europeans entered the country during 2015. This represented an increase of 6.1 percent from a year earlier. A 90 percent of French people who arrived in the country last year did so by air, which meant an increase of 9.6 percent compared to 2014. From January to September, Costa Rica registered 445,829 new seats available, for a growth of 18.3 percent. This fact is important considering that the European visitors are those who spend more nights in the country and invest more money while planning their vacation to Costa Rica. This data encourages the country to being more attractive to the people visiting from the Old Continent. The average stay of the European tourist is of 17 nights, 4 more nights than the regular stay average of the visitors from other parts of the American continent. This obviously represents an increase in the average budget invested in the vacation trip that benefits enormously the country. The amount of Europeans visiting Costa Rica has increased a 41,7%, comparing the existent data from 2010 to 2015. Last year, a total of 393.115 European visitors came to the country, a great amount considering the benefits and the potential of this market. However, it is expected a greater potential for the next year. Despite the evident increase of European incomings, the quantity of tourists from Europe barely represents a 14% of the 2.660.257 registered arrivals of 2015. A number that it is expected to change with the operation of the new weekly flights to any of the Costa Rican airports. To exploit more that potential, the country hired a public relations agency in that continent, to centralize the actions to the four main markets: Spain, France, Germany, and United Kingdom. Costa Rica also hired a prospective study which will help the design of advertising campaigns to generate tailor made vacation packages and other strategies that will attract those markets, as well as allow tourists be more confident about travelling to Costa Rica. Part of the efforts are concentrated in attracting more airlines to the country. The French airline arrived with the biggest plane among the ones that are already landing in the Juan Santamaria International Airport. With this arrival there are now six airlines and six European cities flying directly to the country: Munich, Frankfurt, London, Paris, Zurich, and Madrid. One of the most remarkable things about European visitors is that they have a different seasonality. This means that they don’t come in January, February or March as the North Americans do; their visits will occur with more frequency during the low season months, helping the national industries see an improvement in the economy and the job opportunities. The touristic industry of Costa Rica is now improving their services and preparing its people to the new languages that will be needed with the arrivals expected, in order to offer a better service for everyone. French and German are two of the more requested languages the companies are looking for now. It is a priority to be prepared for a specialized European service. The tourism industry is growing thanks to the negotiations and the efforts of the government in conjunction with the Costa Rican Tourism Board, a lot of actions that will benefit all the social and economic sectors.